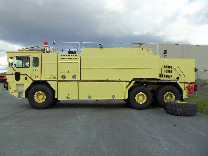 Thank you for your interest in the 2000 Oshkosh TI3000 6x6 ARFF! Fill out the form below and we'll immediately start the process to get you more information. 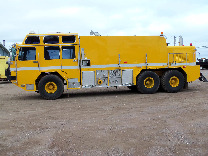 Driver's Side Suction: (1) 2 1/2", (1) 5"
Officer's Side Suction: (1) 2 1/2"
Crosslays/Speedlays: Crosslays: (1) 1 3/4"
This truck is in Great Condition and just came out of service. Factory maintained since new.